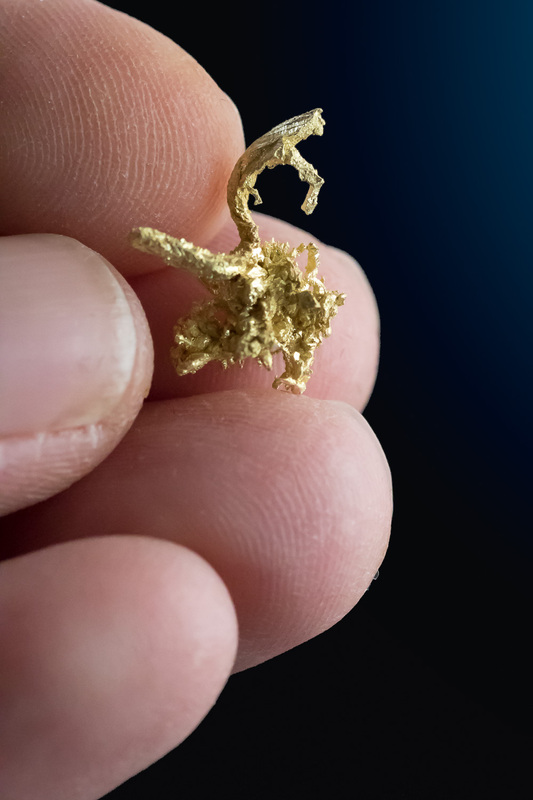 A fantastic wire gold cluster with a very pure yellow gold color. 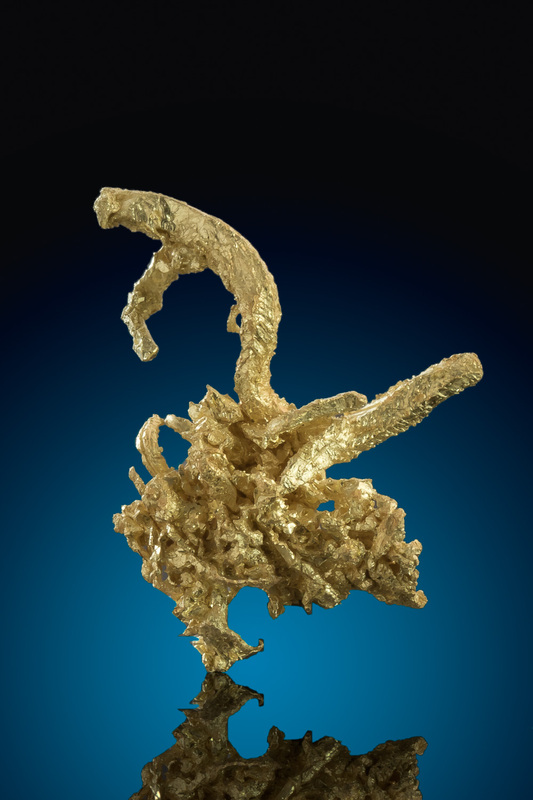 This gold specimen is from the Belshazzar Mine in Boise County, Idaho. 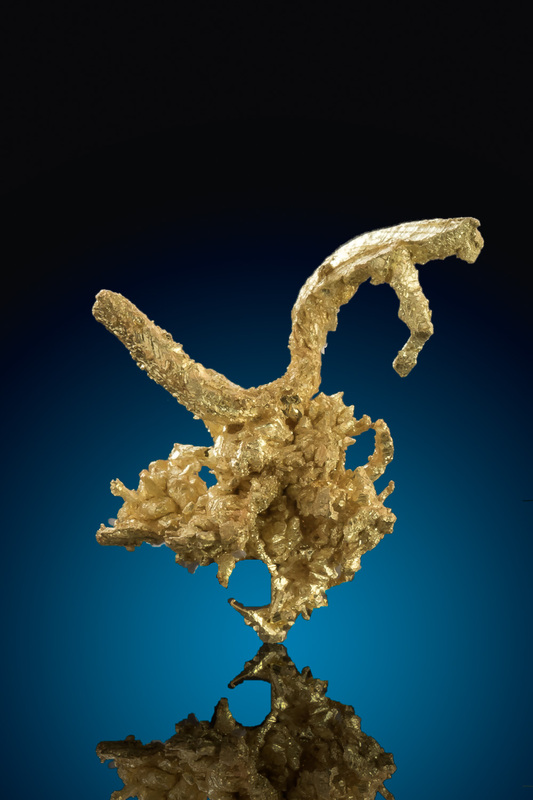 The mine produced some infrequent but fantastic gold specimens and is a rare location considering the amount of hard rock mines in Idaho. This mine is now closed and to my knowledge there is no plans to reopen it.